Not really. Actually, it’s about safety. I’m just using a personal example to drive home the point of this week’s blog. Here’s my story. The other night, I step out for an evening of local theatre with one of my dearest friends. I park the car and make my way the two short blocks to the theatre, step off the curb to cross the street and fall in the middle of the road. In seconds my circumstances changed without warning. Honestly, I can’t tell you what made me fall, but I can tell you that I fell hard. I am now sporting numerous cuts, scrapes, bruises, a broken foot and I’m in a boot cast for six to eight weeks. I’m also a statistic. This issue presents a major challenge to workplace safety professionals. 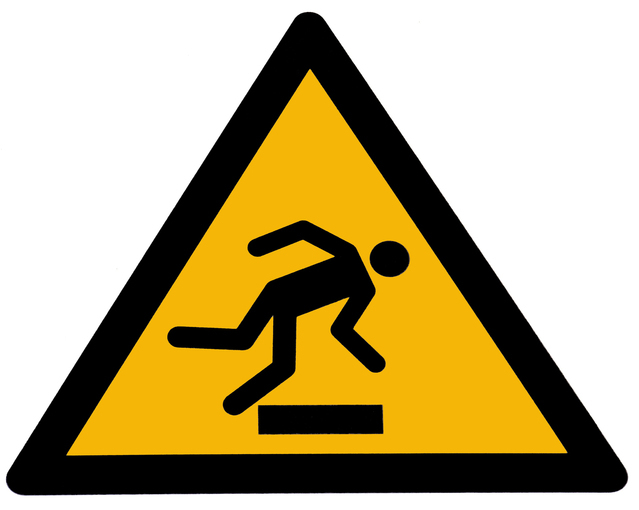 Statistics show that injuries from slips and falls are the most common work related injuries, totaling 25,000 annually. But there’s nothing common about the chain reaction they set off. Sixty-five percent of all work days lost are from slips and falls and the total annual cost of these injuries in the U.S. is over $60 billion. (OSHA) That’s huge. So if you’re in charge of safety at your workplace, what do you do? Understand, identify, train and prevent. Falls happen when there is an unexpected change in the contact between your foot and the ground; slips are a result of too little traction. Not exactly breaking news, right? Ah yes, but if you really understand this, it helps identify the things in your workplace that contribute to slips and falls. In other words, do a risk assessment. What physical factors need addressed? Are there areas where the floors are wet or spills regularly occur? Are there obstacles in the aisles? Are walking surfaces uneven or carpets or floor mats loose? Is lighting sufficient? Are areas of concern well marked? Is there debris, ice or oil on the surface? You get it. The wild card here is the human factor; employees get distracted, don’t look where they are going, walk too fast, text while they walk and on and on. Train your people on the hazards associated with these behaviors and how important it is to keep work areas free from things that lead to slips and falls. Then you can implement procedures and policies to prevent or reduce the chances of them happening. Remember the commercial with the famous “I’ve fallen and I can’t get up” line? The commercial itself was a little cheesy and it was easy to chuckle a little when you watched it. But when it happens to you – or one of your employees – it is no laughing matter. From one who knows, please be safe and watch your step. Bet you thought I was going to say a box of chocolates, huh? Nope today I’m going with a deck of cards. Why? Well, as anyone who reads this blog knows, I am definitely a sports fan. Right now in Cleveland, there’s a lot going on with our teams; Cavaliers are in the playoffs, Indians have started their season, Browns are in the news with the upcoming draft and the Monsters are in the playoffs. It got me to thinking about teams and teamwork and how important that is to success. It doesn’t matter if it’s sports, work, home, church or community; being a good team and a good team player takes work. So what's with the deck of cards analogy? Players come to a team (or a job) from different backgrounds, have different levels of skill, experience and knowledge, different viewpoints, values and attitudes. We all come to the table with our own specific hand of cards; sometimes we are a team member by choice while other times we are just thrown into the mix by circumstance. The expectation is that all the pieces parts will magically blend together to form a dream team destined for greatness. Right. Imagine it. You throw all those “cards” on the table in one big pile and you have one big mess; no rhyme or reason, no organization, no synergy and everyone going their own way, doing their own thing. There’s a formula for success – NOT! Will there be conflict, tension, emotions, anger, lack of productivity and low morale? You bet. Will this team be successful? Not likely. So as a team leader how do you make it work? You play the hand you are dealt. You take the resources you have available and optimize the situation. It’s not about the cards you have; it’s how you play them. What are your high cards and low cards? Do you have any pairs, any straights, any flushes? What are you going to do with them? Does each person on the team have a clearly defined role? Are you playing to your strengths? Are you willing to trade a “card” for a better fit? Can you make the tough decisions? Can you take all the differences and find common ground? Whether you are a team leader or a team player, you play the hand you’re dealt to the best of your ability. 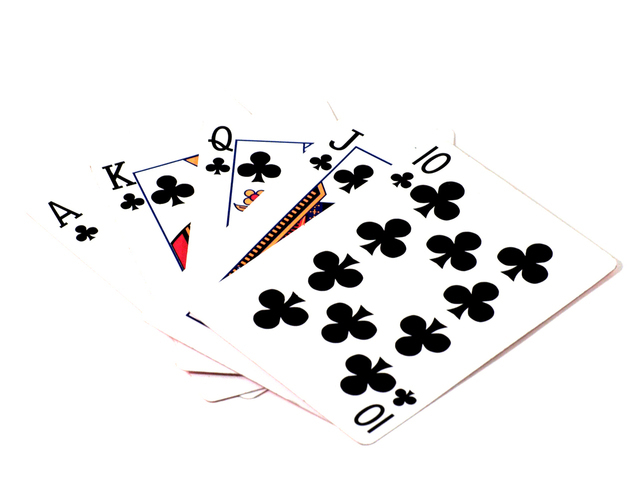 Some are dealt a great hand and waste it while others manage to turn a mediocre hand into a winner. I guess Kenny Rogers was right – “know when to hold them, know when to fold them, know when to walk away and know when to run.” Food for thought. Ever sit down to work a jigsaw puzzle? If you have, you know the satisfaction of finding and placing a puzzle piece in just the right spot. It’s a beautiful thing. On the other hand, what if you have a piece that doesn’t fit? That’s a different story. What do we do when that happens? If you are anything like me, you try to make it fit; you turn it every which way, try to force it to fit, maybe even try to alter its shape a little – anything to make it work. But alas, as many times as we might go through this exercise, it doesn’t work. So where is this going? Let’s talk about corporate culture. 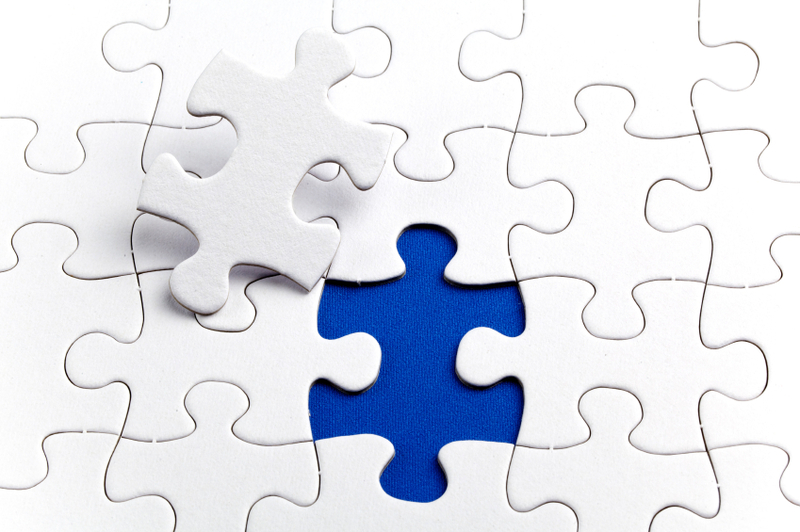 In my opinion, the culture of any organization is a big puzzle and each employee is a puzzle piece. Culture is about shared values, attitudes and beliefs that define the nature of an organization and characterize its members. In some companies, the culture is determined by management through defined standards and expectations. In other companies, the culture evolves from the collective traits of everyone who works there. The culture of an organization is what holds things together. An employee who doesn’t “fit” the culture is a puzzle piece that doesn’t fit and that’s not a good thing. Why? It creates friction, negativity, frustration and can totally disrupt the working environment. It somehow becomes the focal point of the day; sidetracking people from achieving their shared goals. If a piece doesn’t fit, you can’t force it. When employees are a good fit with the culture, good things happen. People work better together, attitudes are better, people enjoy their jobs more and there is a true sense of team. That is why hiring is such an important function in a company. It’s not just about hiring the first person who comes along or the one who looks best on paper. It’s about the fit. Like they say, it’s a process not an event, but when an employee fits the culture puzzle you know it and the rewards are many. This is top of mind for me because we just added a person to our roster and she fits - perfectly. It’s exciting, positive and there’s a new energy in the office; an energy that will keep us moving forward; continuing to challenge ourselves to do better. It’s a beautiful thing. In one way or another, the weather affects us all. It can make us happy, sad, energized, tired or bored; it can make or break our day. But did you know climate change can affect the health and wellness of your workforce? A new report released by the U.S. Global Change Research Program shows that climate change can affect human health in two main ways – by changing the severity or frequency of current health problems and by creating unprecedented or unanticipated health problems or health threats in places where they have not previously occurred. More people in more places are being exposed to public health threats. These climate-related changes are already leading to poor air quality and higher pollen counts; elevating the risks of cardiovascular and respiratory problems. And there’s more. Changes in temperature extremes and seasonal weather patterns can affect water quality, increase the number of diseases transmitted through food, water and other organisms; and increase the stresses to our mental health and well-being. Workers often have less control over their environment and their exposure to climate-related risks. 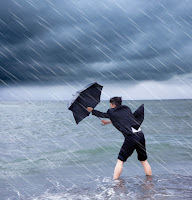 Predicting climate change and the weather is an uncertain science at best, but knowing the affect it can have on the safety and well-being of your employees is a fact. Make sure you consider it as one more part of your comprehensive safety program. It’s Friday and I’m in preparation mode for the MODEX 2016 trade show that starts on Monday in Atlanta. MODEX is often called “the Greatest Supply Chain Show on Earth” and for a good reason. At this show, the top material handling, logistics and supply chain providers meet to showcase the newest and best equipment and solutions in the industry. It’s huge. For trade show veterans, this coming week means long days, miles of walking, hours of standing, meals at odd hours and endless presentations. But it’s more than worth it; the dividends it pays are priceless. Why? 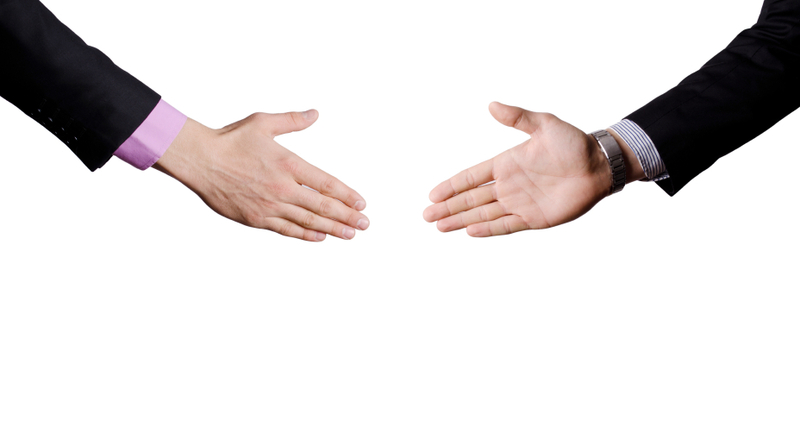 Because by the end of the show new relationships are created, old ones are renewed or solidified; one on one, up close and personal, let me shake your hand relationships with colleagues, customers, friends and industry experts. In my opinion that’s something of real value. It’s more than a few lines in an email, a limited number of characters on Twitter or a recorded message on voicemail. It’s an opportunity to connect a name with a face, exchange interests and ideas and learn from the experiences of those people you meet. Each one of those business cards in the stack you bring home now has a face and a story attached to it; it’s memorable. It’s just a good thing. So how about it? If you are attending this year’s MODEX show, stop by Sentry’s booth #1355 to introduce yourself, say hello and share a story or two. We’re looking forward to meeting you.